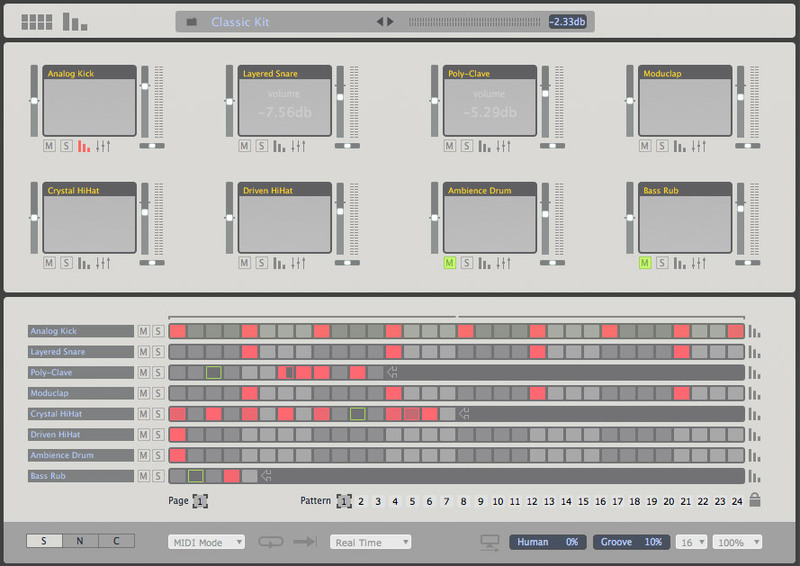 Elecktroid, Virtual Percussion Synth from AudioSpillage. AudioSpillage has released Elecktroid, a drum machine AU plugin for Mac OS X combining both drum synthesis and sample playback facilities. Elecktroid blends synthesis and sample playback facilities. Inside Elecktroid you'll find 4 drum synthesis models: BassDrum, WoodDrum, HiHat and Snare. 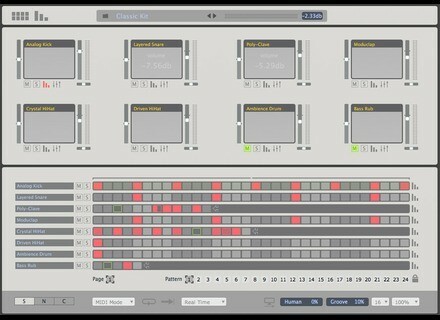 The drum synths are algorithmic and utilise DSP code. Elecktroid is available now as a Mac OS X AudioUnit plugin for a discounted introductory price of £35 / €45 / $55 (20% discount). [AES] Fairlight Xstream Fairlight will debut the Xstream, a new tactile, compact desktop control surface for Fairlight’s CC-1 Media Engine at AES in San Francisco. New iZotope Iris+5 Bundle incl. Voice iZotope introduces the Iris+5 Bundle that features the instrument and the five Iris Sound Libraries: Glass, Wood, Food, Toys, and Voice. Sound Magic Vocalist Sound Magic has released Vocalist, a tool for vocal tracks".